You might have seen the joyful Karamba parrot flying around on the internet before. This well-known bookmaker has one primary goal, and that is bringing fun and entertainment to their customers. And seeing that blue bird lifts the mood in seconds, especially because now they also offer esports betting at Karamba. The casino and bookmaker show that they can provide more than slots of fun and they make their sports betting portfolio bigger and bigger. Karamba has a great passion for the customers and offers fun casino games, promotions a lot of esports bets. They also focus on great bonuses and fun and reliable esports betting experience. Karamba is a great bookmaker to start esports betting with, and in our review, you can find out why. 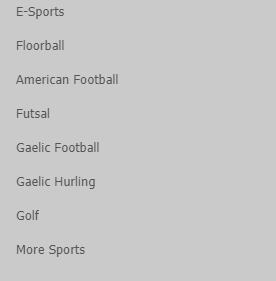 When you look at the variety of Esports games that bookmaker offers you would like to scream Karamba. They offer a huge range of games and tournaments to bet on, and they even separate them by location, so you can find events happening in specific place even quicker. Esports betting at Karamba can be done in the following games: Dota 2, LoL, CSGO, Starcraft 2, Overwatch, Heroes of the Storm, King of Glory and Nba2k. And the best thing is that Karamba is covering many different events and leagues. They, of course, cover World Championships and big important leagues, but they also have options to bet on local and less popular matches. The type of esports bets provided by this bookmaker is map bets. That means you can bet on the winner of a map in the tournament and game you choose. You can, for example, bet on the League of Legends World Championship league map by route and even select different combinations for those. That works for Dota 2, Starcraft 2, CS:GO and other esports games as well. Another exciting way to enjoy esports betting at Karamba is live betting. That means you can place your esports bets on the matches you are watching at the very same moment. Karamba offers that option for you to make your esports bets even more fun. You can decide on the bets you want to place watching the performance of the teams and select based on the events happening during the match. Karamba is not just an Esports bookmaker. They offer bets on other sports as well. You can bet on Football, Basketball, Darts and many other sports. Karamba is also an online casino. You can play one of the many different slots they offer or try your luck at Roulette, Blackjack or a dice game. As a unique feature and for the real Casino feeling you can sit down at one of the live casino tables and play with real dealers. You can even chat with them. Karamba also offers virtual scratch cards. If you want some other betting fun apart from esports betting at Karamba, they have a lot of opportunities for you. Karamba is not the biggest bookmaker around, and that is visible in the odds they offer as well. They try to always offer the best odds for esports betting, but some other bookmaker stands out more in that field. However, Karamba really stands our when it comes to regional leagues and offers excellent odds for smaller tournaments. All in all the esports bets can be placed at great odds at Karamba, and they really convince with good service and variety of games. Karamba wants you to start your esports betting with a bang. They offer an attractive welcome bonus and many options to earn bonuses and promotions as a loyal customer, such as free bets and other surprises. Currently, they offer a free bet of 10 Euros on your first bet of the same amount. Just keep in mind that the odds have to be at 2.0 or higher to earn the free bet. That may vary from country to country. For the casino, they offer a 100% Deposit bonus. At the moment they do not have bonuses that are special for esports betting, but they might come up with something in the future. At Karamba you can you use several different payment methods, and we are sure that you will find the most suitable one for you. Karamba accepts credit cards, for example, Visa or Mastercard. But you can as well use Paysafecards or Sofort for payments. If you like to make your payments online and receive your winnings from esports bets quickly, you can use the e-wallets Neteller or Skrill for deposits and withdrawals. All payments are handled rapidly and secure by the Karamba staff if you need any help the support is more than happy to assist.